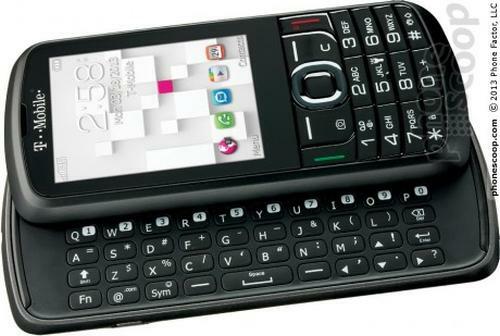 There are still a number of smartphone users that like to use a physical QWERTY keyboard, but trouble is away from BlackBerry handsets that feature this, they are few and far between with slide-out handsets almost nonexistent. Today we have news of the continuing mystery surrounding the T-Mobile Alcatel Sparq II slider. It seems that T-Mobile in the US are planning a sequel to the Alcatel Sparq as the new device has recently stopped by the Federal Communication Commission. The handset features a slide out QWERTY keyboard that will allow users to send emails or text messages easier, and is fully compatible with the carrier’s network bands. Trouble is despite the handset appearing at the FCC there is still no information regarding the handsets full specs or features. What is known via the handsets manual that was filed with the FCC is that it will come with a FM radio, microSD card port for storage expansion, and an integrated web browser. The handset should include a rear facing camera teamed up with a flash, and Bluetooth and Wi-Fi connectivity, but obviously at the time of writing there is no information regarding the other specs, prices or release dates for the Alcatel Sparq II. Do you like smartphones that feature slide out physical keyboards? Source and image: Phone Scoop.